Montreal household incomes are up from the last census, but are still behind the median household across Canada. Montreal household incomes are showing gains, especially for those earning six-figures. This is according to the most recent Census release from Statistics Canada, which gives us insights into the earning patterns of households across the country in 2015. The median income in the Montreal Census Metropolitan Area (CMA) showed slightly better gains than national average. However, median household incomes remain substantially lower than the rest of the country. 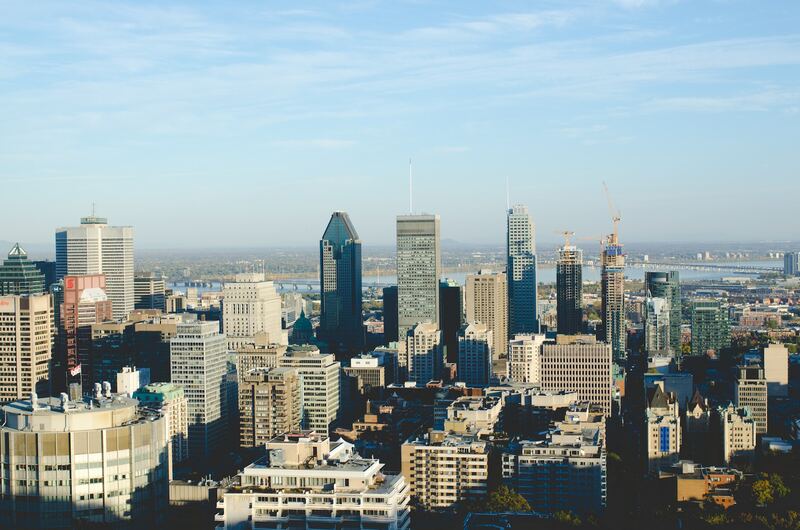 The median household income across Montreal made solid gains, although still remain low. Census 2016 numbers show a household median pre-tax income of $61,790, up 16.53% from 2010. That works out to 6.82% growth when inflation adjusted. Growing is better than not, but the city’s median income trails behind the national median of $70,336. Median household incomes after-tax showed gains between Census numbers. Households had a median after-tax income of $53,738, up 14.88% from the previous Census. Inflation adjusting, that number drops to a 5.32% increase. Higher taxes over the past few years have tapered growth even more. One surprising number is how quickly wealth is growing across Montreal for some. Census 2016 shows 457,820 families earned over $100,000 in 2015. This is a massive 121.12% growth from the previous census numbers. Median incomes showed mild growth, but six-figure earning families more than doubled. This likely means growing wealth disparity in the city. On the upside households earning less than $30,000 showed huge reductions. There were 356,695 households earning less than $30,000 per year, down 23.95% from the previous census. This is likely due to Quebec’s minimum wage getting a 17% hike during that period, but we’ll take what we get. Looking at wealth distribution, the richest and poorest Census tracts were clustered together. The wealthiest neighbourhoods were both located in old money Westmount. The area around Summit Circle had a median income of $357,376, topping even Toronto’s wealthiest neighborhood. Just south, around Parc King George came in second, with a median household income of $304,640. Most of the city’s highest earning neighbourhoods radiate around Notre Dame des Neiges Cemetery. Neighbourhoods on the bottom of the median income scale this round, were a stone’s throw from each other as well. The census tract around Avenue Lincoln & Saint Mathieu had a median income of $34,240, the lowest in the city. It was closely followed by the area around Parc Paul-Dozois, where the median income was slightly higher at $35,200. It’s worth noting that there were very few neighbourhoods in the city that were this low. Montreal showed gains on incomes, but the median household is still earning less than the rest of Canada. This combined with the number of high income families more than doubling, shows the wealth gap may be getting worse. On the upside, the baseline of low-income earners is rising. Previous post: How Much Did Toronto Real Estate Inventory *Really* Jump? Montreal is a singular, with neighborhoods being possessive of that singular noun. Technically “is” would be the proper way to write that. You may not speak that way, but it is absolutely correct from an academic perspective. You’re a terribly hostile person, and I pity you. Even if you were correct, do you believe that’s the right way to approach someone’s work? Someone spent time creating, and you feel superior because you… read it? Remember, you’re reading their work, they don’t care who you are. This would be like me laughing at a student’s typos, because my 50 years of English is vastly superior to their 20 year old brains.